Add a little Vaseline and watch this cotton ball fire starter burst in to flames (yes, cotton balls are flammable). Watch this Everstryke Match Review video to see for yourself just how easy fire starting really is. Grab Your Free Everstryke Match Here or your Free Everstryke Pro Here… Good While Supplies Last! 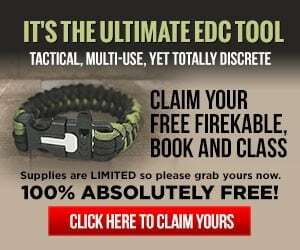 And just so you know, the Everstryke Match and Everstryke Pro are free but I am an affiliate for Survival Life so if you ever decide to order something from them I may earn a commission. If I’m lucky I may earn enough to buy myself some lighter fluid for my everstryke matches… I own several of them, and I love them! All you have to do to create your very own cotton ball fire starters is smear a generous amount of Vaseline or petroleum jelly on your cotton balls. And then just stuff them in a plastic sandwich baggie, and toss them into your bug out bag and you’ve got yourself a great waterproof fire starter for any emergency situation. Just make sure you also have some sort of firestarter to create a spark or flame to ignite the cotton balls. 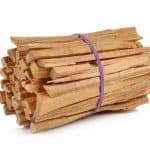 Plus, some other kindling and twigs to help stoke the flames into a roaring fire. 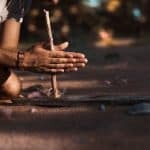 One of the benefits of using a cotton ball fire starter covered in Vaseline for tinder is that they are pretty much waterproof (don’t even think about trying to start fire a with wet dryer lint, sawdust, or wood shavings after they’ve been soaked in the rain or dropped in the river on a camping trip). 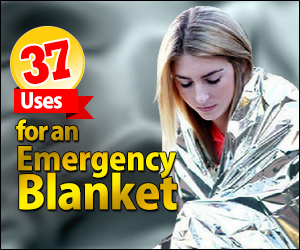 Which means that you should be able to use your survival skills to start an emergency fire even during a severe rainstorm or in unusually wet conditions. They also happen to be extremely lightweight so they add an insignificant amount of weight if you’re backpacking in the woods, camping, or toss them into your everyday carry bag, go-bag or emergency kit. Plus, the little amount of space that they take up in your bug out bags means you’ll have more room for the rest of your wilderness survival gear. But the biggest benefit of learning how to build a fire with a little ball of cotton and a little vaseline is that it’s just so darn cool that you can’t help but smile. 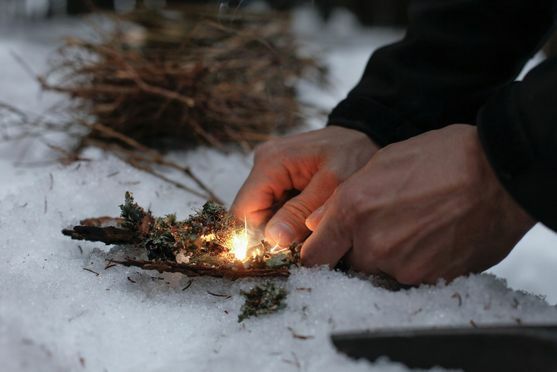 Some of my favorite methods for lighting a cotton ball fire starter include a ferro rod such as the free Everstryke Match or Everstryke Pro, waterproof matches, or a weatherproof survival lighter. 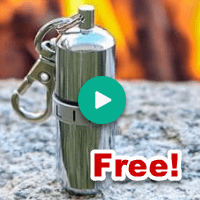 Whether you're using it for camping or keeping it in an emergency kit just … [Read More...] about Which Survival Lighter Belongs in Your Bug Out Bag?